Mol. Cells. Nov 30, 2016; 39(11): 783-789. 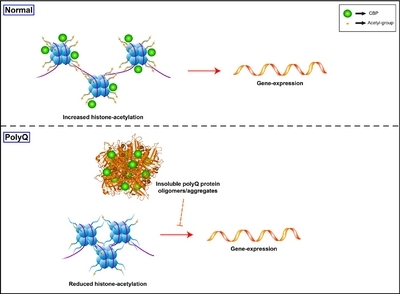 Decreased levels of histone-acetylation and perturbed regulation of gene-expression resulted by sequestration of CBP in insoluble polyQ protein oligomers/aggregates. 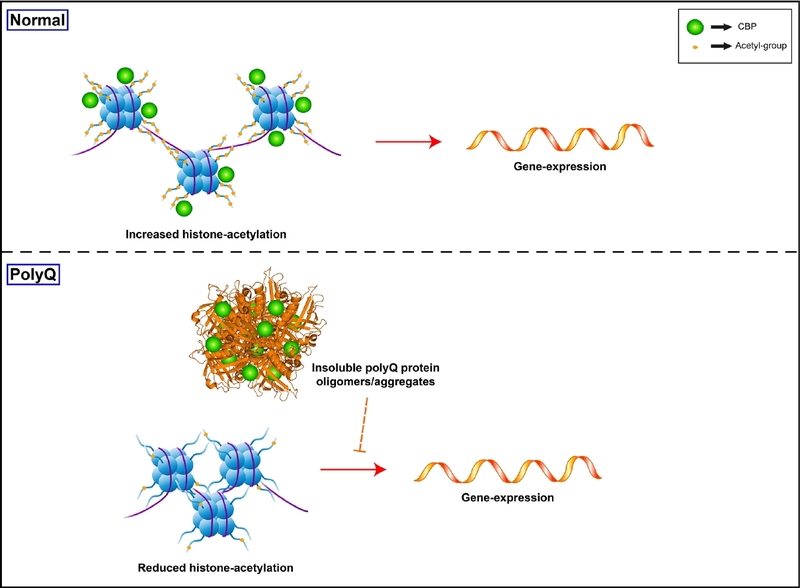 Possible involvements of HATs and HDACs in controlling gene-expression of genes associated with memory function and synaptic plasticity in AD. Mol. Cells.Nov 30, 2016; 39(11): 783-789. Received October 5, 2016; Accepted November 4, 2016. Kweon, J.H., Kim, S., and Lee, S.B. (2016). The cellular basis of dendrite pathology in neurodegenerative diseases. BMB Rep. , .